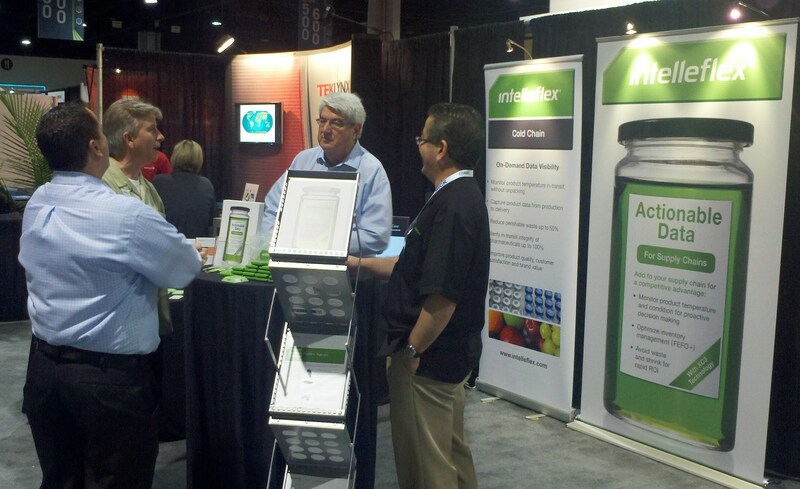 Last week Intelleflex was at the Modex 2012 exhibition in Atlanta. Modex is focused on supply chain and materials handling. We had a modest booth in the technology section of the massive Atlanta World Congress Convention Center. As this was the inaugural Modex event, we didn’t know what to expect. I was amazed with how many people from retail grocers, third party logistics providers, end user customers and integrators stopped by. The theme resonated. People need to better understand the condition and status of their products and assets as they move through the supply chain. The conversations were interesting as booth visitors described their challenges and asked how Intelleflex could help. 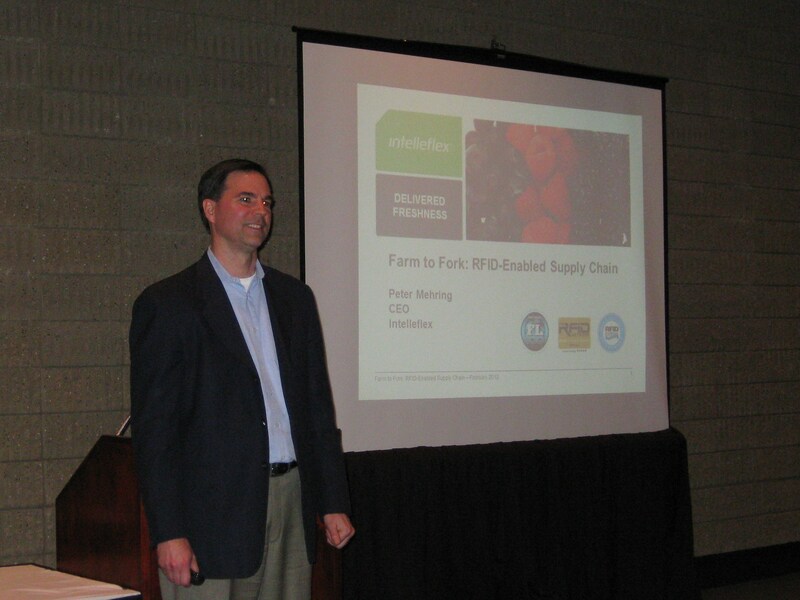 I also want to give a shout out to AIM who invited our CEO, Peter Mehring, to speak to an audience about the benefits of pallet-level temperature monitoring and present our blackberry case study. If you’d like more information about how Intelleflex can help you address challenges with your supply chain or asset tracking application, please click here or email me. This entry was posted in Asset Management, Perishables, Pharmaceuticals. Bookmark the permalink.